Cable Stitch Baby Cardigan Finished! The baby alpaga jacket is finished and already worn by my grandson M. I am pleased with the final look and most of all with the fact that it keeps the baby very warm! In my tote I have a new knitting project. About this bag on the last photo, which you have already seen in previous posts, I did it using this pattern : The Twenty Minute Tote. 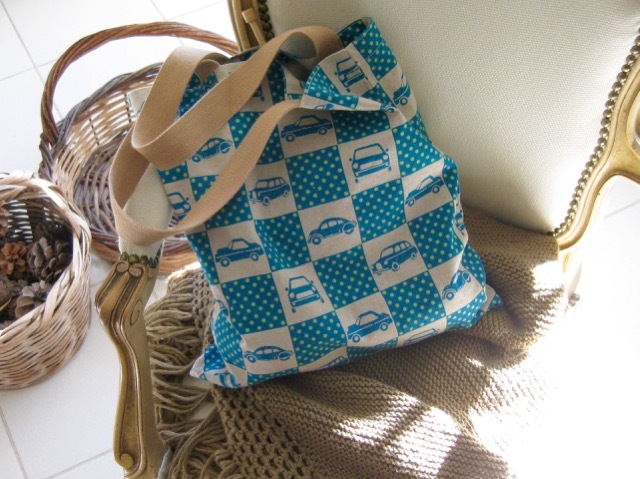 I did many of such bags for presents, using Kokka fabrics and it really doesn't take more than 20 minutes to make one! Ce cardigan est magnifique et je devine la douceur de la laine rien qu'en l'admirant ! Your grandson will look so handsome and adorable in the jacket, Christine. 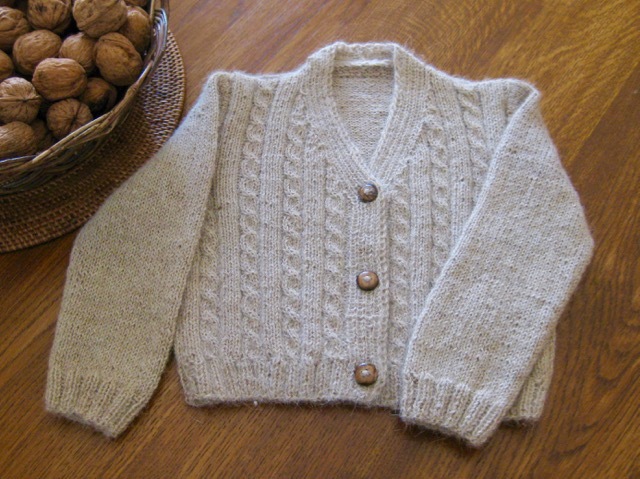 The knit cardigan is beautiful and so soft looking too. Your grandson will be so comfy wearing it and be quite stylish too! That's it! Your work has convinced me that I MUST learn to knit. I simply must. This little sweater is gorgeous. 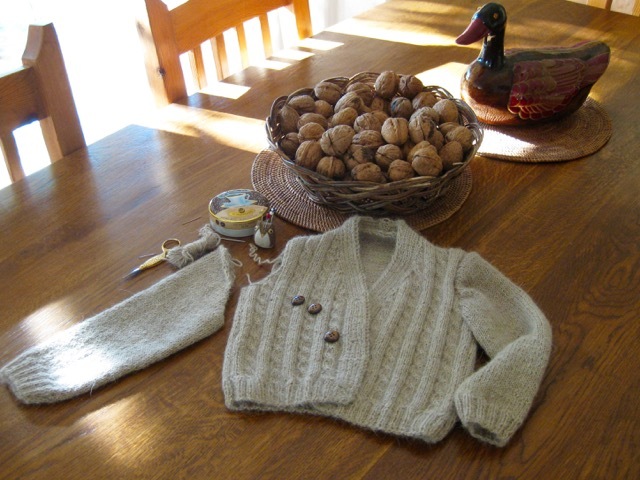 This is a great sweater pattern, and it looks so soft. Your grandson is a lucky boy. That is a beautiful sweater Christine! It looks so cuddly and soft. 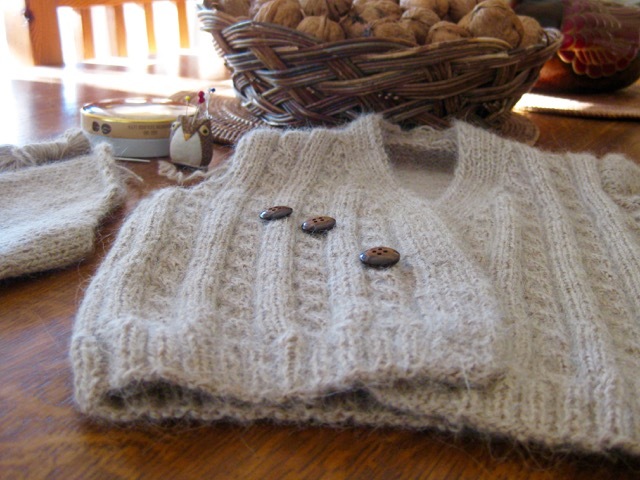 Beautiful knitting and perfect buttons!! The sweater is beautiful. Thanks for the link for quick bag. I can imagine your grandson looks adorable in this sweater. The bag is great!